To tighten a shade sail with one or multiple poles with shrouds is very advantageous. 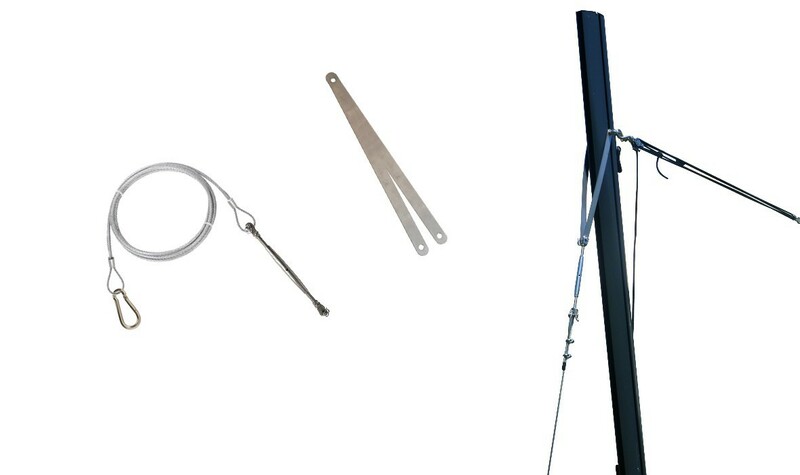 This equipment is perfect for a flexible installation. This fixture balances tensions during the fixture of 2 shade sails to a same pole. It can also fix a corner of your shade sail directly into the ground. The stainless steel shroud reinforces a pole supporting several shade sails of large area.